In the old days, it was a risky venture to light up a joint in some foreign countries and not to mention many parts of the United States. That has changed dramatically in the last few years with the widespread decriminalization of marijuana at home and abroad. Some people like to enjoy local wines when they go on vacation. Others choose to partake in the local cannabis. So long as you understand the local rules and customs, there’s a nice assortment of places around the globe where you can indulge. Here is a list of seven of the best places to smoke weed around the world. Go ahead – light up and enjoy the culture without worry. Colorado is the marijuana success story of the United States in its legalization and marketing of pot. In 2014, Colorado made it ok to enjoy cannabis-laced candies, individually rolled joints and pot-infused cuisine within its borders. If you are over 21 with valid ID, all you have to do is go into one of the many storefronts with a green cross in the window and sample the many products. Then you can wander around and enjoy the scenic trails, beautiful parks and surrounding mountains, and scintillating streetlife. Colorado is a prime example of how marijuana can be handled in a way that is legal, safe and regulated. Its industry brings in millions of dollars a year which goes towards improving schools and infrastructure. You can get high knowing you are helping the local economy. For years, Amsterdam has welcomed a stream of partying tourists eager to explore its many hash bars. The Red Light District is a little seedy and you should watch your purse, but it is still a marvel to behold with all of the places to get excellent weed — in addition to the many ladies of the evening cavorting in windows. Amsterdam regulates weed heavily; you can only buy it in coffee houses, which do not serve alcohol (although there is usually a bar within spitting distance). The product is taxed — but the purveyors get insurance and the product quality is monitored so you know what you are getting. You will usually get a menu in a coffee house explaining the many strains available so you can find the perfect high. Then, go check out the city’s world-class art and architecture, the maze-like historic streets and the beautiful people riding bicycles. California has always had a reputation for great weed, especially the notable crops in Humbolt County. In 2016, the state jumped on the legalization bandwagon for recreational marijuana. Medical marijuana had already been legal for years. San Francisco is a great place to get high and sightsee. Check out Haight Ashbury, the home of the Grateful Dead and many rockers, and still a groovy area. Hike the hills around the Golden Gate Bridge. Pop an edible and have fun all day trying different coffees, chocolates and seafood along Fisherman’s Wharf. The dispensaries in town carry a wide array of products; click here to see more awesome California offerings. Costa Rica is a short flight from the United States and a world away. You can see active volcanoes, howler monkeys, and beautiful beaches. You can soar above the tropical rain forest canopy on an exhilarating zip line. Jaco is a beach town frequented by surfers and it is pretty easy to score here. Remember, weed in Costa Rica is still not officially legal, but the authorities do not prioritize enforcement. Be cool and ask people who look like they can help. You should be able to find something to enhance the sun and surf. In Vermont, you can smoke weed legally and you can grow a few plants legally. However, you can only sell it if you are a licensed medical dispensary. Unlike Colorado, you won’t see pot stores on every corner. You also cannot toke up in a car with a child, which is one of many of the state’s rational, common sense rules. Most hotels prohibit it, and you can’t smoke on the street, so it’s better if you can go to a friend’s house to light up. Burlington is the home to many college students so you may not have a problem there. Then you can enjoy a joint while walking along the waterfront of majestic Lake Champlain or checking out the shops and street musicians on Church Street. Canada is another civilized country that decided taxing pot was easier than prohibiting it. Although different provinces have different laws, Quebec has legalized weed for recreational use. Anyone 18 or older can buy it, although the government may increase the minimum age to 21. 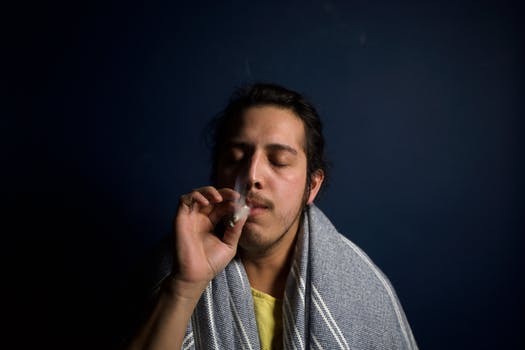 Quebec’s current law bars people from consuming cannabis wherever tobacco smoking is prohibited, like in bars, restaurants, daycares, schools, hospitals and bus shelters. The rules are a little hazy on some details. For example, on the St-Laurent side of a street you can’t smoke pot but on the other side — in neighbouring Ahuntsic-Cartierville – you can. There are four stores that sell cannabis on Montreal Island. Ganja has been part of Jamaican culture for centuries and the native Rastafarians use it as part of their religion. Medical marijuana has been legal for a long time on this island and clinics will prescribe it to you if you describe symptoms like general anxiety, back pain or depression. Jamaicans are allowed to grow limited numbers of plants on their property and it is usually pretty easy to get someone to sell you some. It is decriminalized but not legal, so be cool about where you partake. Just do not take any weed in or out of the country, which could get you in a lot of trouble. So long as you do some due diligence on the best places to smoke weed, you can include this activity in your travel planning worldwide. Be aware of regulations and customs, especially regarding public consumption and crossing international borders. So long as you are careful and respectful, you can find yourself in a wide array of beautiful places where you can sample all sorts of local products, making your vacation a truly excellent experience. For more fun non-traditional travel tips, check out my blog.